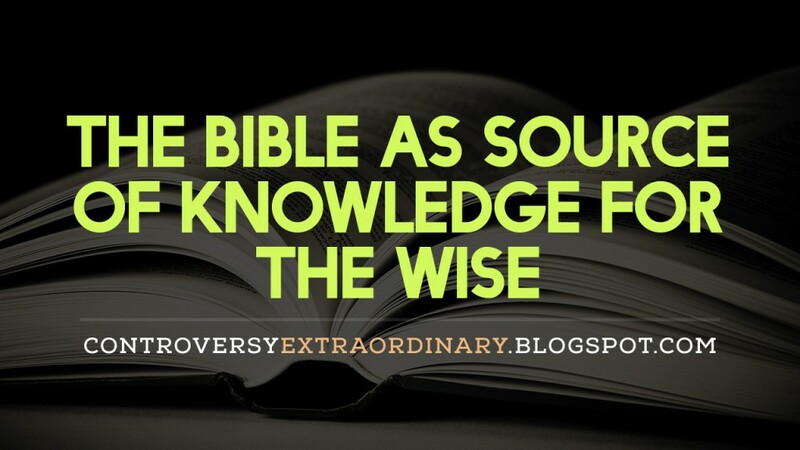 When the Bible says that “knowledge shall be increased in the end times,” it cannot mean that people in the past like Charles Darwin and other scientist have more advanced knowledge than those in our time, as the Bible contains all these knowledge. The author, devoid of human decency and filled with satanic blasphemy, charged the God of the Old Testament to be “the most unpleasant character in all fiction!” This stupid and false accusation against someone whom he does not believe to exist can be considered the height of insanity and delusion! It is not hard to see that to disgrace somebody who does not exist can only be caused by hallucinations of a person buried deep in delusion. The fool hath said in his heart,There is no God. Corrupt are they, and have done abominable iniquity: there is none that doeth good. To tag the God of the Old Testament worse than Dracula, Vampires, Zombies, Werewolves, Frankenstein, and the like, is the grandest form of lie that an author could invent in the history of fiction making! Apparently, Dawkins is on the side of these fiction characters, being their campaign manager! He desire perfection for humanity. Being perfect, an injunction to a believer, means to learn how to love and care for enemies. 2. The God of the Bible is jealous. That the Lord may become jealous is a deterrent. Divine jealousy is caring for His beloved not to be persuaded by lies. With the accusations of Dawkins against God, it will imply that even if he sees his wife flirting with another atheist, it will still be something morally acceptable to him! But God’s jealousy is kindled against any man that would intentionally worship false gods. It is falsehood. God wants to protect His people from idolatry. To frankly declare, “I am a jealous God” does not mean that He is proud of being jealous. He says exactly what He feels, treating His servants honestly with compassion and concern. The thinking of Richard Dawkins against God is not a thing to marvel about. There are people who, according to the Bible, are walking with their head and thinking with their feet! 3. Richard Dawkins is “petty unjust,” and not the God of the Bible. To charge somebody who does not exist to be “petty unjust” is most certainly unjust! The God of the Bible is the executor of everything that is just. In V. Watkins v. Torso, the United States Supreme Court ruled that Secular Humanism is a religion. “Whereas the Bible, the Word of God, has made a unique contribution in shaping the United States as a distinctive and blessed nation of people. Whereas Biblical teachings inspired concepts of civil government that are contained in our Declaration of Independence and the Constitution of The United States … Whereas that renewing our knowledge of, and faith in God through Holy Scriptures can strengthen us as a nation and a people. Now therefore be it resolved … that the President is authorized and requested to designate 1983 as a national “Year of the Bible” in recognition of both the formative influence the Bible has been for our nation, and our national need to study and apply the teachings of the Holy Scriptures.”1983 – Oct. 4, 1982, Joint Resolution of Congress. “The fundamental basis of this nation’s laws was given to Moses on the Mount. The fundamental basis of our Bill of Rights comes from the teachings we get from Exodus and Saint Matthew, from Isaiah and Saint Paul . . . If we don’t have a proper fundamental moral background, we will finally end up with a government which does not believe in rights for anybody except the State! In contrast, we notice the noise of new atheists. The New Atheists are authors of early twenty-first century books promoting atheism. These authors include Sam Harris, Richard Dawkins, Daniel Dennett, and Christopher Hitchens, as named by the Internet Encyclopedia of Philosophy. These modern atheist writers advocate the view that “religion should not simply be tolerated but should be countered, criticized, and exposed by rational argument wherever its influence arises,” according to Simon Hooper (The rise of the ‘New Atheists,’ November 9, 2006 CNN.Com). Hooper said the tone of these new atheists is overtly confrontational rather than gently persuasive. In one of the interviews for CNN, Darwin is said to boast that atheists are like the gays; they only need to come out. When they do come out, the public can find that they are more numerous than believed. That is the kind of victory they see for themselves. But these pretentious intellectuals are no match to the great and intelligent men who shaped the USA as a nation! This is Part 6 of Possibilities and Impossibilities in the Bible. More to come.